3 - These exercises online allow you to get more practice! I encourage anyone who logs on to leave a comment. Do let me know what you think about ONE of the videos. I particularly liked the video about the 24 different accents. Australian is definitely my favourite! I also watched the video about the different accents! I laughed alot about the Southern English from East London and also the Northern English from Liverpool mainly because i could barely understand what he said! I have to say that the different accents one did catch my eye too. He was really good, I was very impressed! My favourite, though was the video about the french man learning english, so funny! The 24 accents video is the best! The Russian accent is the funniest! I have to admit that the video about the different accents was the funniest one in my opinion. It's so strange to realise that it's almost impossible to understand some of the accents, sometimes it doesn't even sounds like English at all! My favourite accent was the "Indian English" because I remembered the character "Apu" from "The Simpsons", quite funny! I especially liked the 24 accents video, some of them are hard to understand. The video I found most funny was undoubtedly the one about the French man learning English pronunciation. This video also shows how hard it can be to learn a foreign language. I really liked the video about the different accents, it's quite interesting hearing them all. I really liked the video, it shows that the English is different to learn from person to person. I really enjoyed the video in which there are shown 24 different accents. I would say some of those are rather amusing. Indian is the best! I watched the video about different accent and I was surprised about how many different version of the same language can exist! Interesting and funny! I saw all the 6 Youtube videos and they're pretty interesting. I have to agree with Mónica! The video about the 24 different accents is really amazing. It's unbelievable and impressive the fact of that guy talking a lot of different accents! I'm amazed. I loved the southern english (British English - Formal RP), the Russian accent, and finally the US American shouthern/redneck. The 4th video is also interesting because it shows that we all need a language to communicate with each other, in this case, in terms of aviation! The vídeo about the Future of English caught my particularly attention. 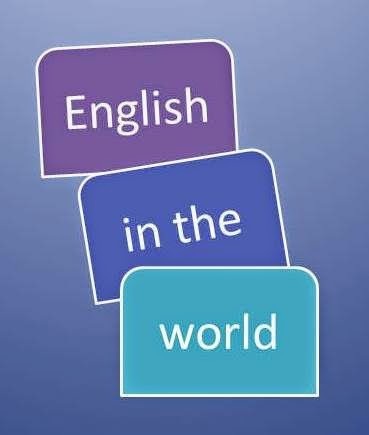 The power of the English language and its spread woldwide made it a established and basic skill among the society. However, the money, success and influence of China are turning Madarin into a leading language for international relationships. Concepts such as education and technologies are being reconstructed. Eventually, Mandarin will overtake English as a língua franca. I must say the video of the lad speaking in 24 different accents is by far the most amusing! Particularly enjoyed the Posh British and Irish ones. It's amazing how he is able to speak in so spot on in all those accents! i loved the pink panther video. that accent really made me laugh! It's amazing how we can have so many different accents from the same language, and the boy in the video is seriously the funniest ever trying to copy all the accents. The differents accents are so funny and learn it is even funnier! I also enjoyed the movie about the future of the English, it’s so surprising. I specially liked the video about the 24 different accents. I`m amazed! But all of them made me laugh to be honest! I watched the video of the Top 5 Most Spoken Languages in the World and I've got to say that I'm really impressed with the amount of countries that speak Mandarin. Of all the videos the one that I preferred was the one about the accents. I found the redneck accent very funny. It made me laugh a lot! The videos were really useful for our knowledge about this topic. My favourite one was the one about the future of English!! It was awesome! I watched the video about the 24 different accents, very funny! Loved to see how he can imitate all different accents, liked specially the Scottish accent. The Indian, Japanese and Russian accent is really funny too! I specially liked the video about the 24 different accents!! The one that caught my attention right away was the first one, especially the part when the narrator describes how English became one of the world's most spoken languages through the Internet, also focusing in the aspect of multiculturalism. I really enjoyed the video about the importance of English, due to the fact that it emphasizes the need to learn the language of communication. I like the video about the top 5 spoken languages. The video I found most interesting was the one about the top 5 most spoken languages. It's really good to know that there are so many people that speak my native language and by that, help to perpetuate the language in the history of multiculturalism. I watched all the videos and I particularly enjoyed the one about the 24 accents. I was very surprised by how many different accents a language can have. It was really nice! The video "Global language" clearly shows us how important English is and how urgent is to learn it because being able to speak English brings us more opportunities in the world of work. 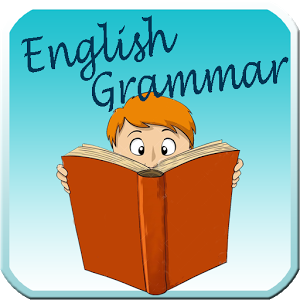 Very nice videos and grammar exercises! Hope it will help me tomorrow! Hi teacher as you know my class test was yesterday and I only came here today to leave my comment.. I saw all the exercises and honestly if I had come here earlier all of them would had help me in test, specially the ones about the phrasal verbs.. Next time I have to check the blog earlier, thanks for doing this for us! !